Product prices and availability are accurate as of 2019-04-07 06:14:18 EDT and are subject to change. Any price and availability information displayed on http://www.amazon.com/ at the time of purchase will apply to the purchase of this product. POWERMAX cable pulleys can be used with both coated and uncoated cable and will provide a substantial increase in cable life over steel or aluminum pulleys. 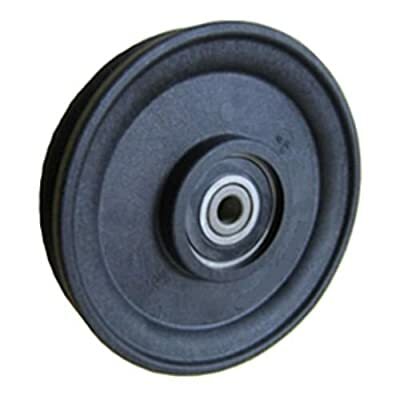 Our cable pulleys feature a non-ribbed, solid web construction for strength and appearance and are perfect for a variety of cable applications.